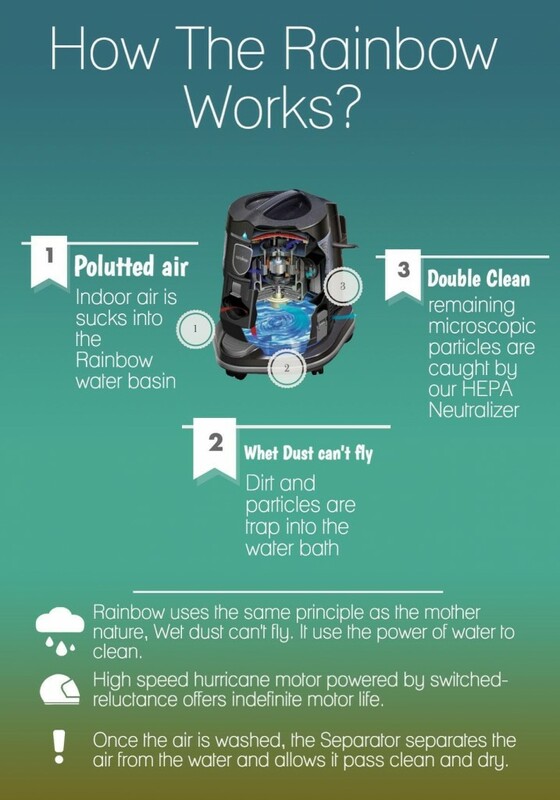 Rainbow harness the power of the water to traps any dirt and particles in your indoor air into a water-washed, a rotating separator extracts the air from the water, then release the air back into your home environment, fresh, clean, healthy and odorless. It virtually transform your indoor environment into a clean water washed mother nature habitat. 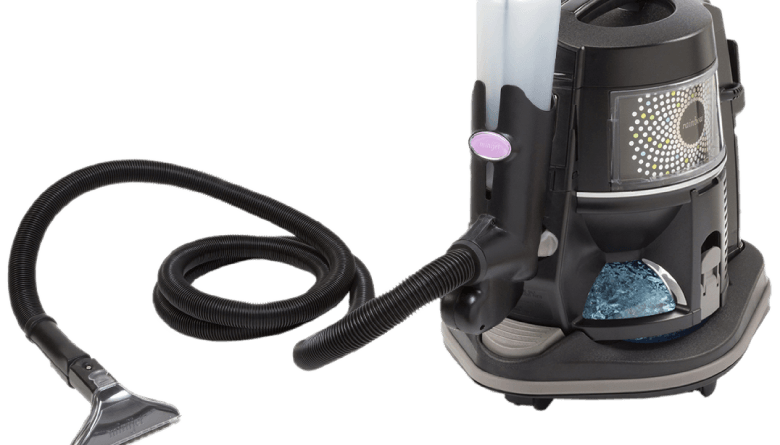 The last stage of the process is the HEPA neutralizer , which is a back up filter design to traps any particles that escape from the water bath, making the dirt virtually impossible return to your home air. Do you want to have a close look of how the Rainbow works?